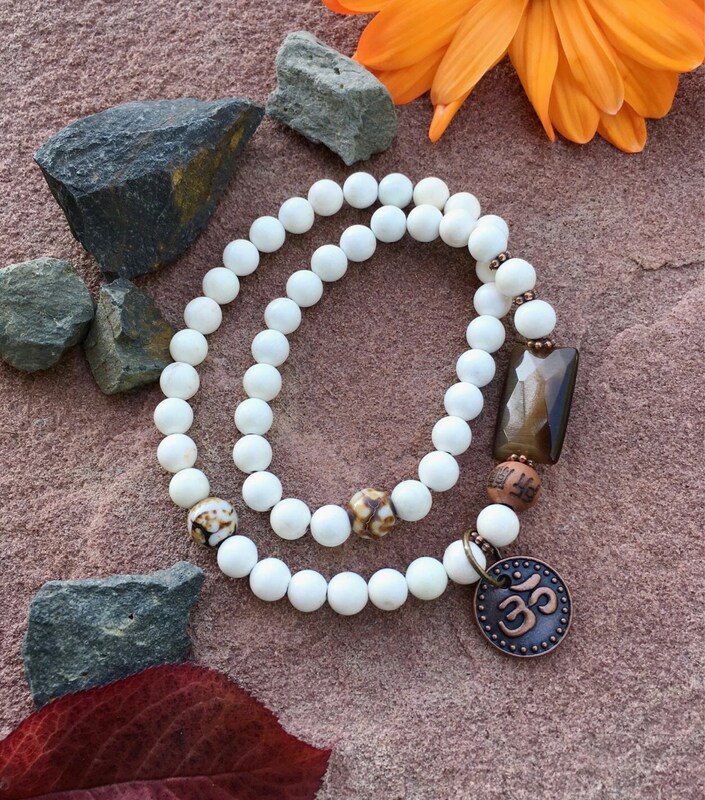 The Natural Zen Double Mala Bracelet features creamy white/tan Magnesite gemstones along with two drops of Tibetan Dzi Agate, a carved cedarwood ancient prayer bead and a single faceted golden Cat's Eye bead to infuse you with feelings of clarity, optimism and self-confidence. It gently wraps around the wrist twice, offering double the healing vibrations. 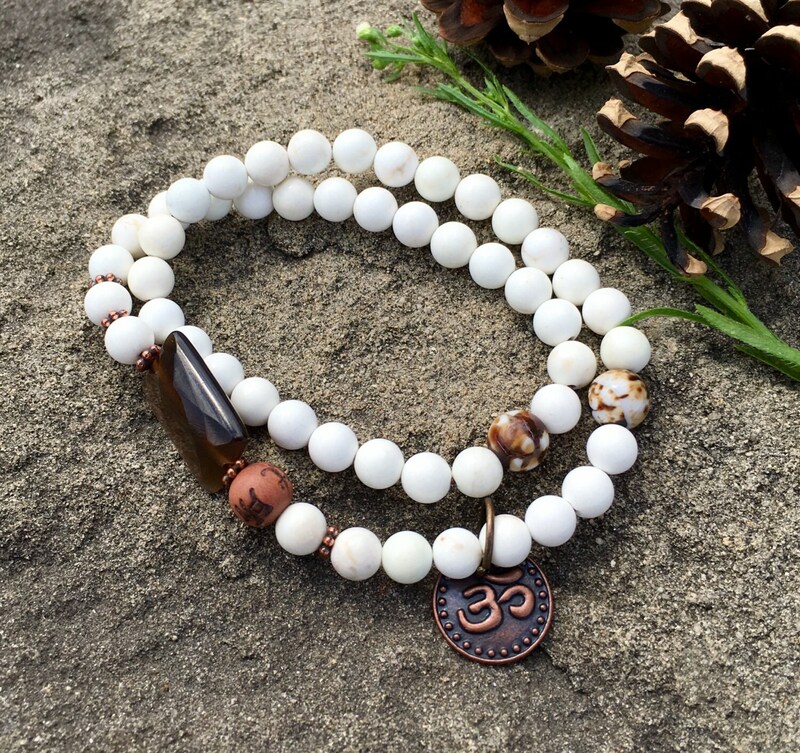 Magnesite is a wonderful relaxing and calming stone to wear daily or to use in meditation. It has a strong soothing vibration that is quite impressive. It alleviates sadness, stress, fear and depression by generating feelings of happiness and joy. It is a powerful gem for creative visualization and imagination, and can aid in the development of psychic visions with exceptional clarity. 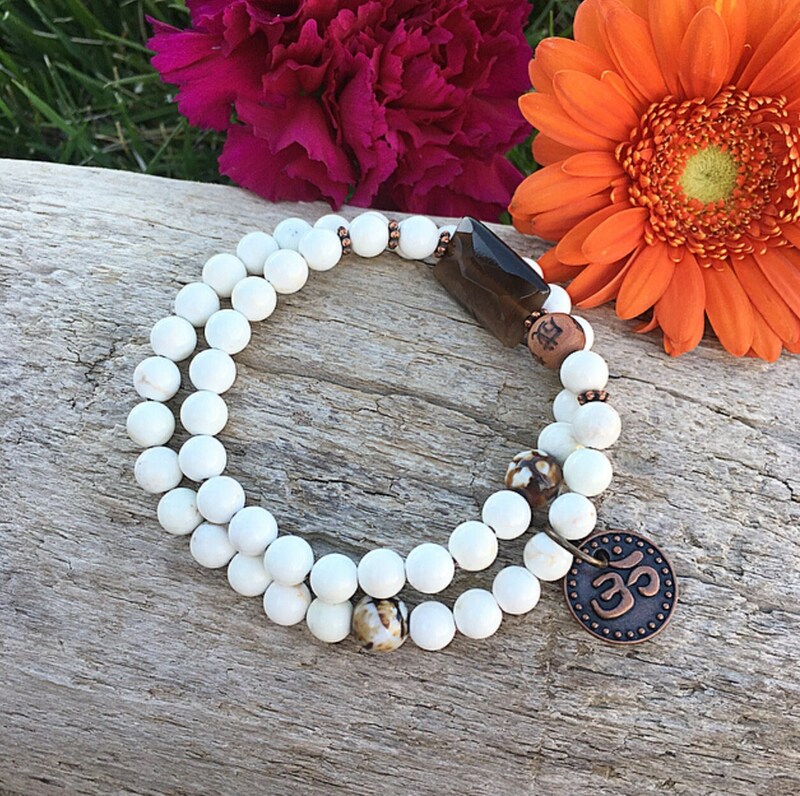 Wearing (or meditating with) Magnesite regularly will help you to love yourself and profoundly increase your level of self esteem. It will also stimulate metabolism. Dzi Agate is one of the most mysterious of all the beads known today. These shiny Tibetan agate beads, patterned with mystical eyes are among the most treasured crystals in the world. 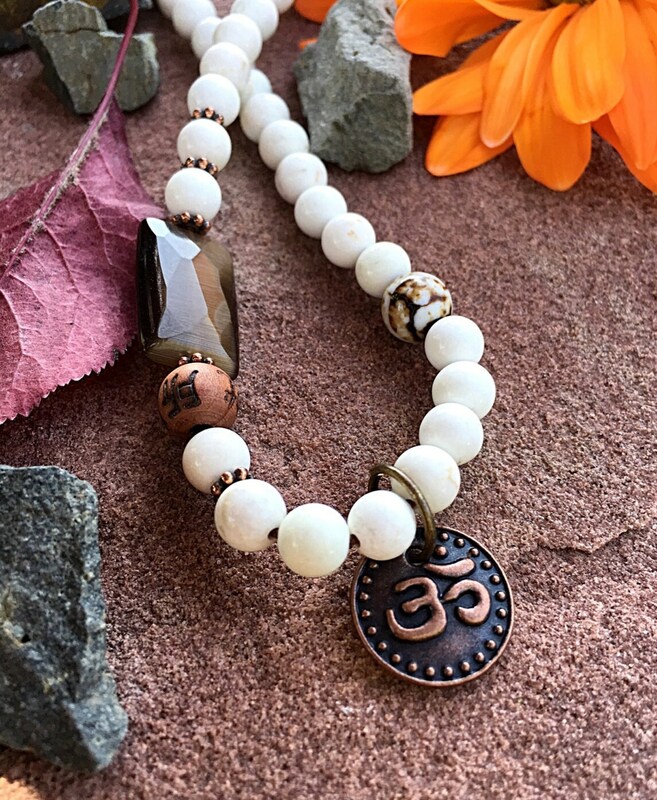 “Dzi” in Tibetan means "shine, brightness, clearness, and splendor." Dzi Agate brings good fortune, health, wealth and long life. Cat's Eye dispels unwanted energy from the aura and amplifies good luck and fortune. It brings happiness and serenity, along with optimism, generosity and confidence. It can also enhance creativity and kindness. 6mm and 8mm gemstones, strung on strong elastic stretch cord. One size fits most wrists. Custom sizing is available.